For over 90 years Kessler Alair Insurance of Rancho Cucamonga, Upland and Newport Beach has provided quality insurance products with exceptional service tailored to each individual and business’ needs. There are over 30 people in the Kessler Alair Family, and most have been here for fourteen years or more. 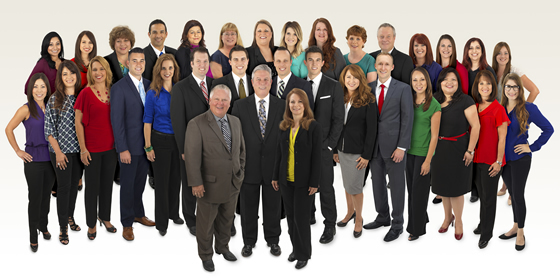 They are all dedicated to caring for our clients as if they were members of their own family. The companies we choose to work with are reputable and financially sound. Because we work with so many we can help you select the one that is right for you. We are growing, we are friendly, and we answer our own phone. We know you will not regret becoming part of our Kessler Family. We make going the extra mile our First Priority! As with the earlier company, the community responded very positively to the friendly service which was led with integrity and grew rapidly. In 1965 Bill's brother Ken came on board. In 2011 we added a second office at the beautiful Victoria Gardens outdoor mall in Rancho Cucamonga to meet the needs of the growing population of this local area. We service the needs of many clients in Claremont, Fontana, Rialto, Ontario as well as all throughout Southern California because most policies can be bound by communicating through email alone. Newport Beach became our third location added in 2015. Providing a convenient location to provide services for the individuals and businesses we insure in Orange County became a reality as we opened our doors in the Newport Corporate Tower in Newport Beach California. We are unique from other agencies in that no matter what location you may call or reach, your questions or concerns can be addressed by any member of the Kessler Alair team. We strive to make service seamless for our customers.